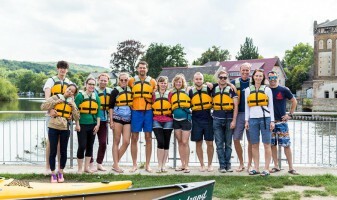 We offer trips by canoe, kayak or raft rental in one of the most popular recreational areas in Thuringia and Saxony-Anhalt. 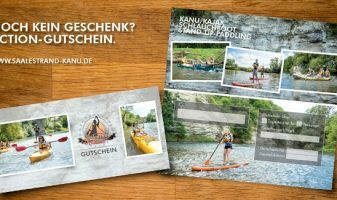 Experience nature-oriented trips through the river valleys of the Saale and Unstrut, water hiking in a group or just enjoy the beauty of this landscape. Besides the rental of boats and appropriate equipment, we also offer individually planned events with a wide range of combination possibilities. 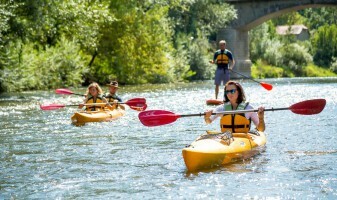 Wether a trip in a group, school trip, company incentive or stag party, paddling is always an extraordinary experience. 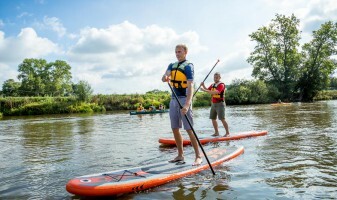 Furthermore, we offer you to discover a new trend sport – Stand Up Paddling or short: SUP. Entry stages in Jena and our canoe station in Naumburg make a good start to discover nature from another perspective.